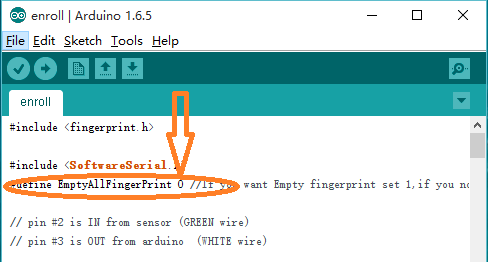 This is an Arduino compatible fingerprint module. 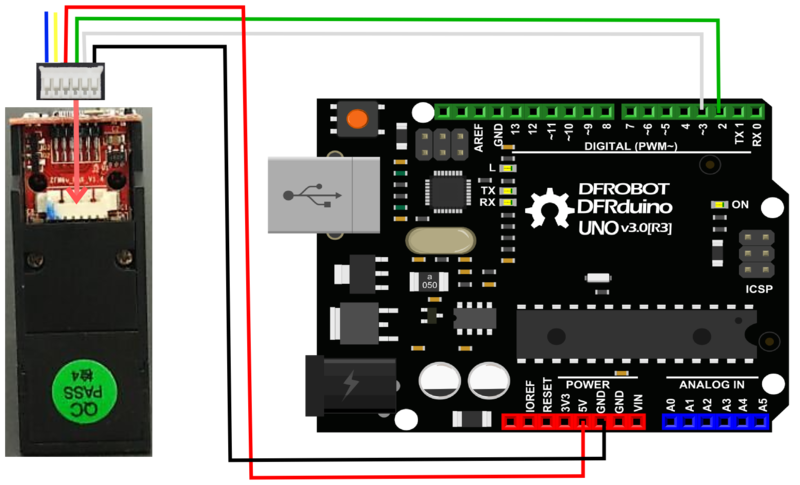 With the high speed DSP processor, it could also work with other serial device, like MSP430, 51, AVR, PIC, STM32, ARM and FPGA device. 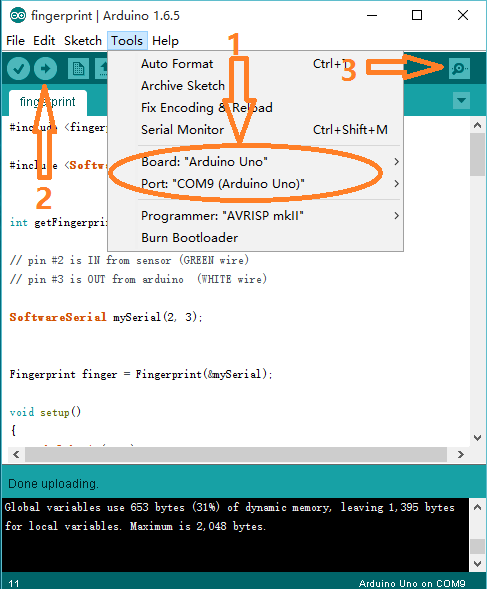 This fingerprint module could work alone without any principal computer or any PC software. It could store 1000 fingerprint. Support fingerprint entry, intelligent image processing, fingerprint comparison and fingerprint search mode. It also has a high sensitivity to both wet and dry fingerprint recognition. This module could be widely used in security field, such as license management .etc. 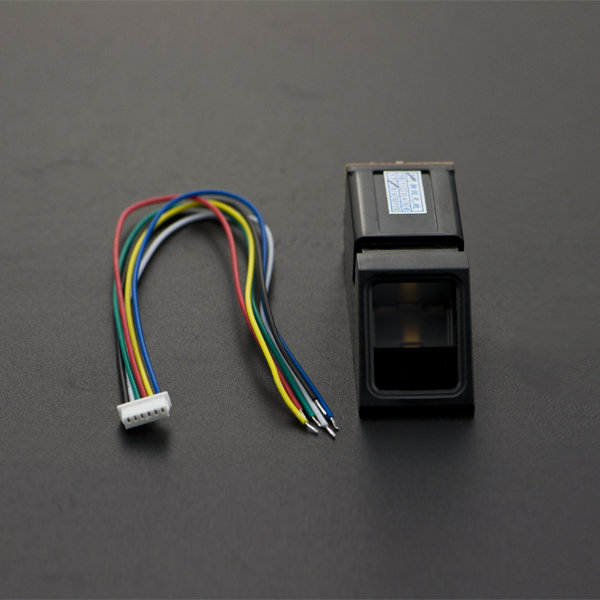 It can also be used to replace the IC card, password, hardware switch in your application. 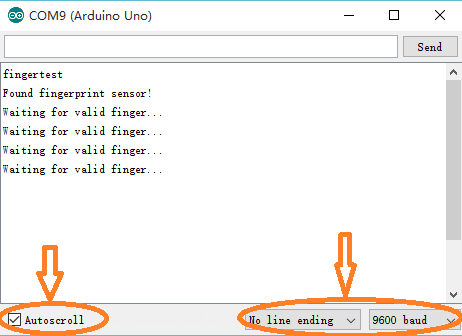 This tutorial will teach you how to use the fingerprint module to input and read the fingerprint. 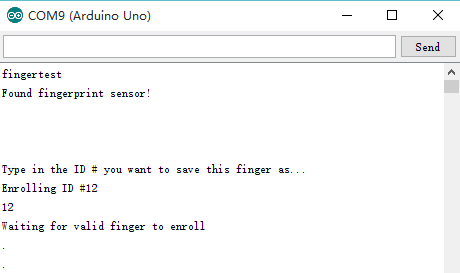 Open Fingerprint Library sample code -> fingerprint -> examples -> enroll.ino. 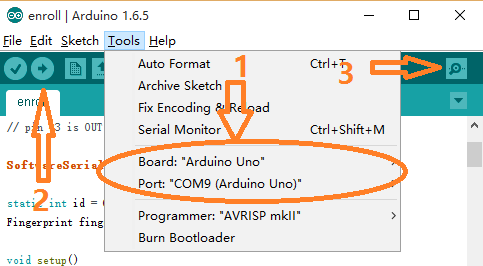 Connect UNO and fingerprint module according to the connection diagram. 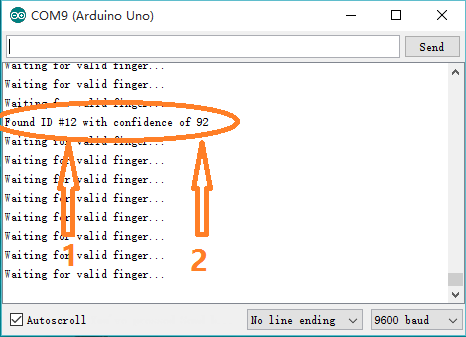 If you want to clear all previous saved fingerprint template, please change the number which arrows point 0 to 1, if you don't want to clear all fingerprint data. 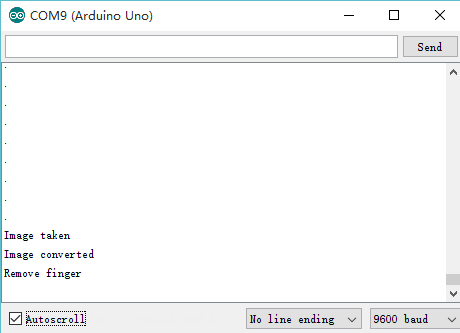 just keep it "0" in the code. 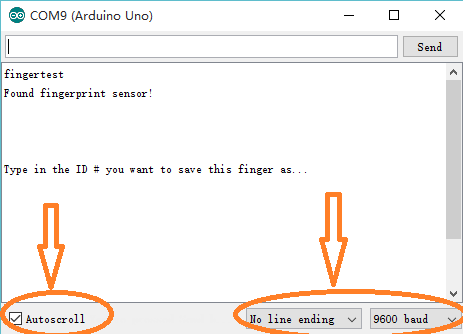 Now please enter your fingerprint ID in the serial monitor and then click the "Send" button. Don't move finger until you get "Remove finger". 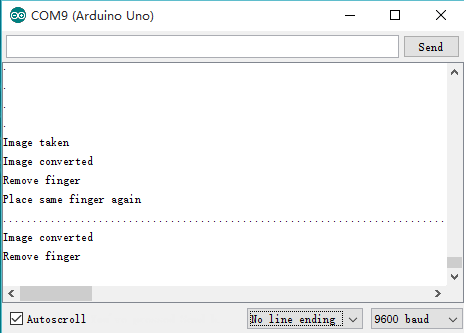 Don't move finger until you see "Remove finger"
It will tell you to enter the fingerprint again, put the same finger on the module again. 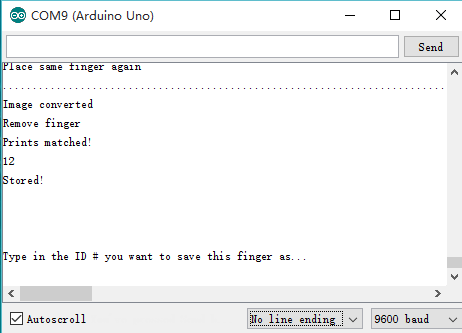 Get SEN0188:Fingerprint from DFRobot Store or DFRobot Distributor.